Swiss absinthe verte produced in the heart of Val-de-Traves but inspired by an old American pre-ban absinthe from Boston. First a bit of history... 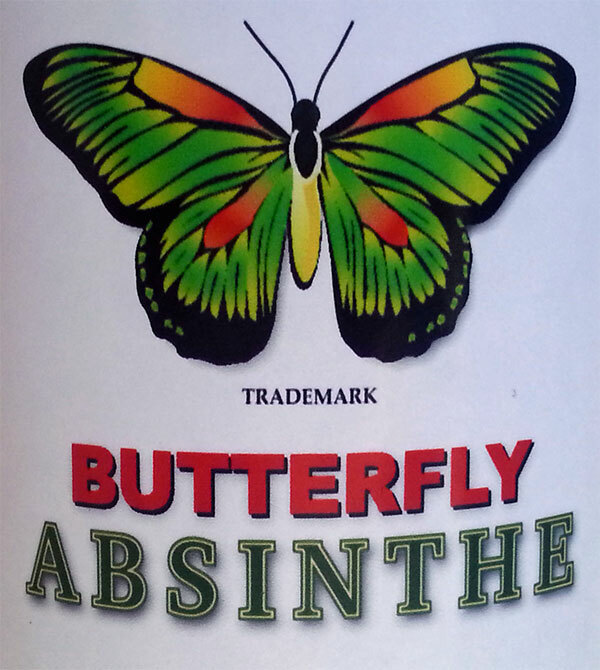 The Butterfly is supposedly based on an old American absinthe from before the U.S ban on absinthe. How true it actually is to the original is questionable but the idea is nice enough and the effort not so bad. So, let's call it "inspired by and American pre-ban absinthe". 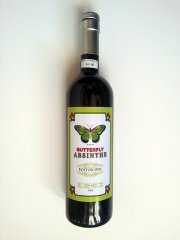 Now, the modern day Butterfly is produced by Artemisia (makers of Clandestine) in Switzerland. 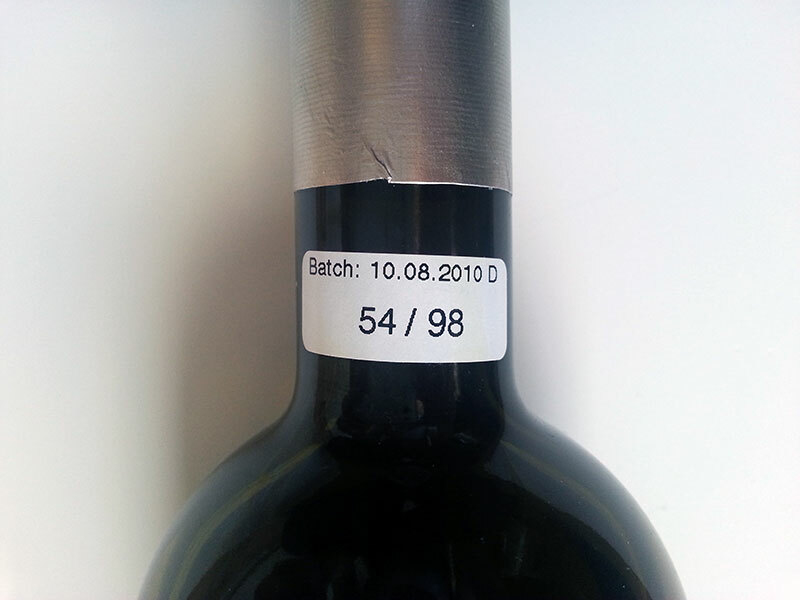 That ensures there are no flaws in the process which Claude-Alain at Artemisia masters nicely. It was also at the distillery in Switzerland that I first encountered the Butterfly a couple of years ago. I had a glass of it there and I must say I was not impressed. It was terribly packed with Pontica and the balance was way off. I didn't finish the glass. I bought a bottle though - if for nothing else, atleast for the collection. More than two and a half years have passed since then and about a month ago I figured I should open that bottle to see how time treated it, if it had improved or not. Opening the bottle and letting the aroma slowly come out I immediately noticed that Pontica again. I really didn't think it would still be that much up front. Pouring a measure in a glass I noticed the color was now a very dark green. The aroma is very much Pontica but with a nice measure of Wormwood and of course Anise and Fennel very noticable. This is also reflected in the louche which is quite nice and thick if care is taken to the preparation. If you haste through it though, it ends up quite thin. Sadly I must say that the fine notes of hyssop, mint, lemon and even the faint hints of orange that can be detected, are lost in the unbalanced character of the Butterfly. It's more of a moth around a lamp at night actually, all over the place. It has definitely improved over time but I personally think it would need a lot of work to make it less straggly. Oh well, on with the tasting. The mouthfeel of the Absinthe Butterfly is quite nice. Rich and thick and quite creamy actually but in the end a little sharp on the tongue. Nothing bad, just a little bit. The taste of the Butterfly carries a lot of the "wild" aroma as well. The Pontica being very dominant but with hints of Coriander and the wormwood trying to come out. The anise is very nicely balanced though and not obtrusive in any way despite its clear presence, especially considering the thick louche one can get out of it. I can't quite make up my mind about the taste though. Every other time I drink this I don't like it and then the next sip is quite allright. Probably because, as the aroma, the taste is simply not balanced enough. It points in so many directions. Does all this mean that I hate it? No. It shows some good qualities hidden in there but the recipe definitely needs a tweak. I cannot imagine American drinkers around 1900 lining up in the bars to buy drink like this. They would probably have wanted something a little more straight forward. Thus I imagine the Butterfly would benefit from a little less Wild West and a little more 5th Avenue. Overall then... The Abinthe Butterfly can be so much more than this but I also have friends that really really like it. I guess they like Pontica then. It's nicer when overwatered - and that may not be the best thing. But as I said, it could be so much more than this and I very much hope it will be. A final note must be made on this though - this is a bottle from the first batches of this and it may very well have changed in recipe since then in which case I'm sure it will have taken on a more balanced attitude. Going from moth to Butterfly, as it should be. I will buy another bottle from recent batches and compare and I will then let you know.